Celebrate New Year’s Eve while supporting MCCLA! 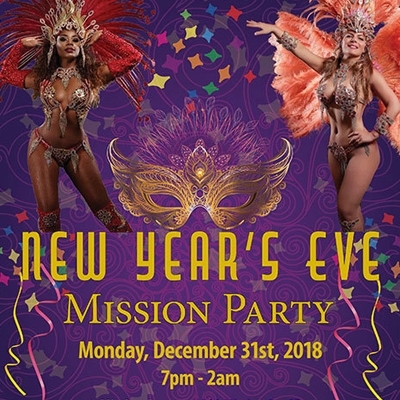 When you purchase your New Year’s Eve Mission Party tickets through MCCLA, you are directly supporting our Carnaval Contingent! MCCLA receives 100% of the proceeds sold through Eventbrite. Jump start the New Year with an exotic party in the Heart of the Mission District in the historic SF Armory. There’s nowhere else you want to be when the clock strikes midnight than The New Year Eve’s Mission Party! Enjoy the night with samba dancers winding through the party, live performances, and the hottest salsa, soca, cumbia, reggaeton, hip-hop, and Top 40s hits. We hope you will join us on December 31st!